Some ACTOR STUFF and VO STUFF updates! After a 5 year hiatus from live theater, I'll be returning to the stage in a production of Peter and the Starcatcher at Pioneer Theatre Company in Salt Lake City, Utah. This wonderful prequel to Peter Pan is being helmed by one of my all time favorite directors, Jenn Thompson, and if you're in the SLC area from December 5th to December 20th, I hope you'll drop in. 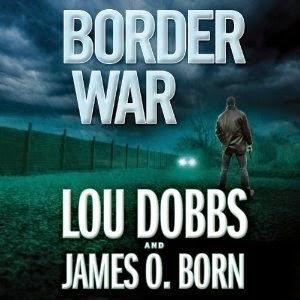 Several new audiobooks I worked on have recently been released: Lou Dobbs' foray into fiction (with James O. Born), Border War is a timely thriller set along the volatile, porous U.S./Mexico Border, and The Equalizer (soon to be released as a major motion picture starring Denzel Washington) is a modern reset of the 1980's TV series of the same name. It's penned by the creator of the original television show, Michael Sloan, and it's a gritty, no-punches-pulled re-imaging of the ex-covert ops specialist turned vigilante, Robert McCall. 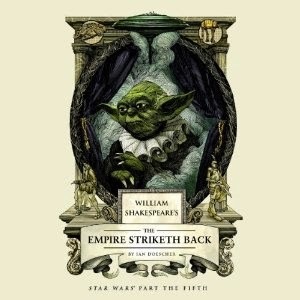 Additionally, I voice multiple characters in the ingenious series by Ian Doescher wherein he has re-written the entire original Star Wars Trilogy à la William Shakespeare. Hope you'll check them out! Lastly, click on the links below to check out my VOs on some fun, new TV commercials for Lowe's, Comcast/Xfinity and the Georgia Lottery. LOWE'S "How to Install a New Washing Machine With One Finger"
"Influx" is the latest offering from the incredibly talented (and frighteningly prescient) novelist, Daniel Suarez, and I'm honored to have been asked back to narrate it after having voiced his three previous novels: "Daemon", "Freedom TM" and "Kill Decision." It's a serious nail-biter, and as with all his books, it will leave you uncomfortably aware that his science "fiction" is a hair's breadth from flat out fact. 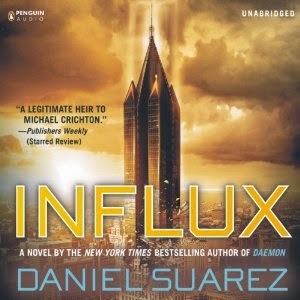 I hope you'll check it out - audiobook or hard copy - and get familiar with this brilliant and entertaining writer. 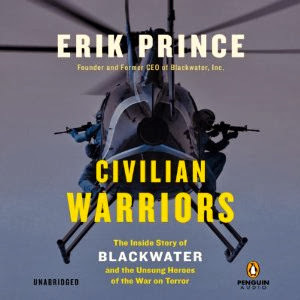 AUDIOBOOK: "Civilian Warriors: The Inside Story of Blackwater and the Unsung Heroes of the War on Terror"
I feel privileged to have narrated Erik Prince's autobiography "Civilian Warriors: The Inside Story of Blackwater and the Unsung Heroes of the War on Terror" which will be released this Monday, Nov 18th. It's a riveting, revealing non-fiction that reads like a sweeping thriller. Hope you'll check it out! Forget everything you think you know about Blackwater. 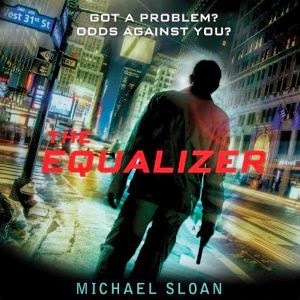 And get ready for a thrilling, true story that will make you rethink who the good guys and bad guys have been since 9/11. No company in our time has been as mysterious or as controversial as Blackwater. Founded by former Navy SEAL Erik Prince in 1997, it recruited special forces veterans and others with the skills and courage to take on the riskiest security jobs in the world. As its reputation grew, government demand for its services escalated, and Blackwater’s men eventually completed nearly one hundred thousand missions in Iraq and Afghanistan. Both the Bush and Obama administrations found the company indispensible. It sounds like a classic startup success story, except for one problem: Blackwater has been demonized around the world. From uninformed news coverage to grossly distorted fictional portrayals, Blackwater employees have been smeared as mercenaries, profiteers, jackbooted thugs, and worse. Because of the secrecy requirements of Blackwater’s contracts with the Pentagon, the State Department, and the CIA, Prince was unable to speak out when his company’s opponents spread false information. But now he’s able to tell the full and often shocking story of Blackwater’s rise and fall. In Civilian Warriors, Prince pulls no punches and spares no details. He explains his original goal of building an elite center for military and law enforcement training. He recounts how the company shifted gears after 9/11. He honors our troops while challenging the Pentagon’s top leadership. And he reveals why highly efficient private military contractors have been essential to running our armed forces, since long before Blackwater came along. • The true story of the Nisour Square massacre in Baghdad. • The actual details of Blackwater’s so-called impunity in Iraq. • The events leading up to the televised deaths of Blackwater contractors in Fallujah. Prince doesn’t pretend to be perfect, and he doesn’t hide the sometimes painful details of his private life. But he has done a great public service by setting the record straight. His book reads like a thriller but is too improbable to be fiction.